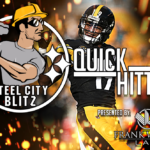 The Pittsburgh Steelers have a minor need at running back. James Conner’s emphatic rise as one of the faces of the NFL has been beautiful to witness. In addition, Jaylen Samuels proved his worth this season as a stellar second choice in our running back core, who is dependable in both the run and pass game. That said, the Steelers lack a third-string back, someone who can help carry the load through the league’s tough schedule. 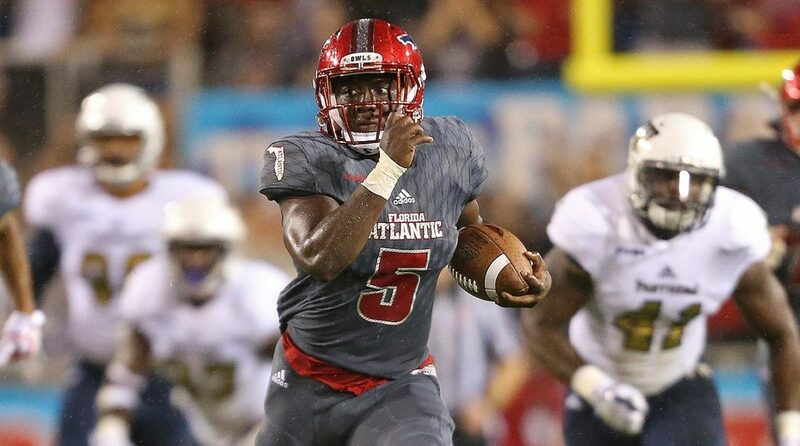 One potential option to fill that gap is Devin Singletary out of Florida Atlantic University. – C-USA Most Valuable Player (2017). – First Team All C-USA (2017, 2018). – C-USA Preseason Offensive Player of the Year. 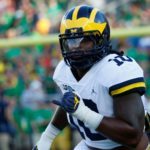 – PFF College noted that Singletary finished 2017 No. 2 nationally in missed tackles forced on carries. – No. 2 in total breakaway yards among returning FBS running backs with 917 total yards gained on breakaway runs (15+ yard runs). – Public Safety and Administration Major. – FAU all-time leader in points (342). – Eigth most rushing touchdowns in FBS history. Rushing: 260 attempts, 1348 yards, 5.2 Y/A, 22 touchdowns. Receiving: 6 receptions, 36 yards, 6.0 Y/C. Return: 13 returns, 284 yards, 21.8 Y/R. Incredibly elusive and agile. Forces missed tackles in the open field. Evades the first tackle more often than not. Adjusts well to contact. Possesses burst after the hit. Potent energy and burst at the second level. Solid speed, with good space perception. Patient runner, who waits for the creation of a hole before deciding his path. Hybrid back – can be utilized as both straight/narrow or bounce the run outside. Efficient pass catcher; runs the route well and has good hands. Size is irrelevant to Singletary, plays similar to Derrick Henry. Fantastic as the lead blocker on a running play. Can participate on special teams, which is a duty of the third-string back. In the clip below, you can see Singletary’s immaculate ability to force missed tackles. Once again, his pace and agility are simply unconquerable. Lacks experience as a special teams returner. Can be easily dismissed as a pass protector in the backfield. Blocking technique needs polished, often overpowered by opposing lineman. Singletary tries too hard to make plays on several occasions, causing negative yardage. Long speed is a concern. Ran a 4.76 in high school. Minor reduction in his production in 2018 compared to his 2017 numbers. Upon witnessing Singletary’s film, I believe he will be selected in the late section of the third round. The reasoning behind this projection is because Singletary faced lesser opposition at collegiate level which may affect his stock in the draft, despite him possessing second round caliber talent. He boasts incredible agility, coupled with elusiveness and solid up-field vision. Furthermore, he can be utilized as a viable outlet option for the quarterback who can create yardage from very little. In terms of limitations, he can be taken advantage of in the backfield when not used as the lead blocker. Moreover, he sometimes negates yardage by trying to force runs that aren’t there. That said, these negatives are more than teachable at the professional level. There remains a gaping hole in our running back core at the third-string spot after the Stevan Ridley experiment fell flat this year, which I feel Devin Singletary can more than fill. Games Watched: Oklahoma (2018), UCF (2018) & Louisiana Tech (2018). Credits: sports-reference, si.com & fausports.com. 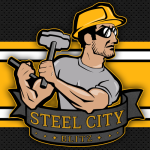 The Steeler style, A third string RB might get 20 carries at best in a season. And that’s if someone gets hurt, you could name anybody for this spot. Why even go here it’s one of our biggest weak spots. High school football mentality has been going on for a very long time.